Craftech Industries, Inc. has been ISO 9001:2008 certified since 2010. We are pleased to announce our upgrade to ISO 9001:2015 as of this January 2018. Our company has adopted a quality management system based on this international standard. The standard is used by Craftech and other companies to assess their ability to meet customer, statutory and regulatory requirements applicable to its products, along with the company’s own requirements. Craftech completes yearly surveillance audits of our system, with re-registration audits taking place every 3 years. Craftech Industries, Inc. can quote and produce parts for our customers with specified PPAP Level I, II, III, IV and V paperwork. 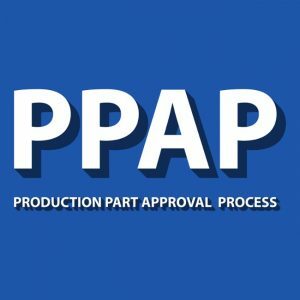 The Production Part Approval Process is commonly used in the automotive and aerospace industries. The standard consists of 18 different requirements. Dependent on the level of PPAP needed, these requirements are either retained by Craftech or submitted to the customer. Craftech is registered for the 2018 year. The purpose of registration is to provide the U.S. Government with necessary information on who is involved in certain manufacturing and exporting activities. Registration does not confer any export rights or privileges. 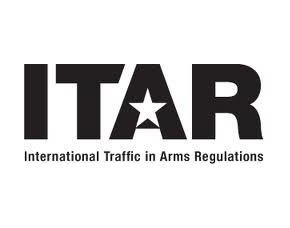 Any person engaging in business in the US of either manufacturing or exporting defense articles or furnishing defense services is required to register with the Office of Defense Trade Controls. This registration undertakes the identification and definition of chemicals of concern, and the preparation of said chemicals that are contained in products for use in the European Union. It details the obligation of registration for manufacturers and suppliers to assure compliance. If you require REACH compliance, please contact customer service with your request. The RoHs directive aims to restrict certain dangerous substances commonly used in electronic and electronic equipment. Components that are RoHS compliant are tested for the presence of Lead (Pb), Cadmium (Cd), Mercury (Hg), Hexavalent chromium (Hex-Cr), Polybrominated biphenyls (PBB), and Polybrominated diphenyl ethers (PBDE). If you require RoHS compliance, please contact customer service with your request. Craftech can fill out your CMRT (industry standard reporting template) for all conflict minerals reporting. As mandated by Section 1502 of the Dodd-Frank Act, companies are required to publicly disclose their use of conflict minerals that originated in the Democratic Republic of the Congo. The term “conflict minerals” includes tantalum, tin, gold or tungsten. If you require Conflict Mineral reporting, please contact customer service with your request.